Super High Floor Space with Views! * Phenomenal Full Service Building with Gym/Pool! Experience Helicopter Views from this super high floor space with open Southern and Eastern views from the Hudson to the East River! Super bright gorgeous 1 Bedroom 1.5 Bathroom highlighted by 10' Ceilings, Floor to Ceiling Windows, an Open Chef's Kitchen, a private balcony, Washer/Dryer and views! Sorry, No Pets. FYI: The Balcony is currently not usable. The landlord cannot represent a time frame when it will be available for use. The balcony is an ongoing building issue. There are some estimates that it will be ready sometime in Spring 2019. 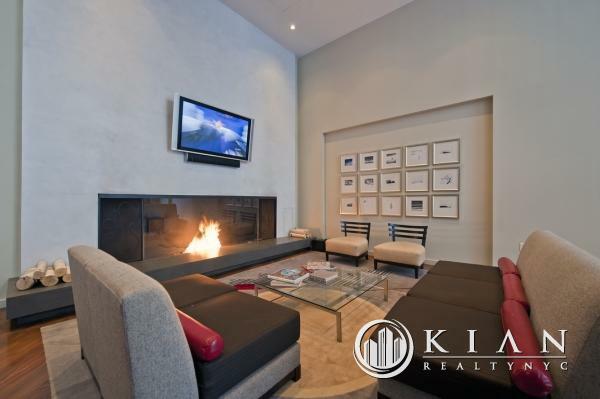 The Full Service luxury building is one of the most coveted residences on 5th Avenue. 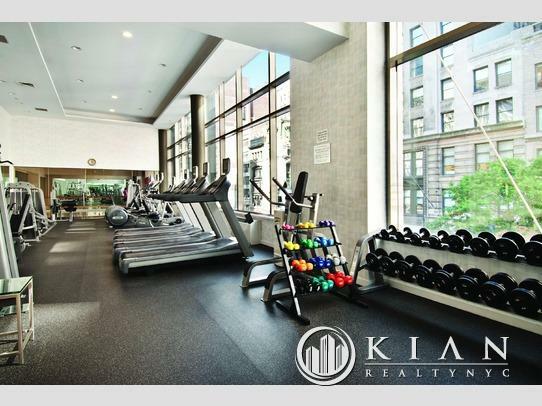 The amenities are comprehensive and unparalleled. 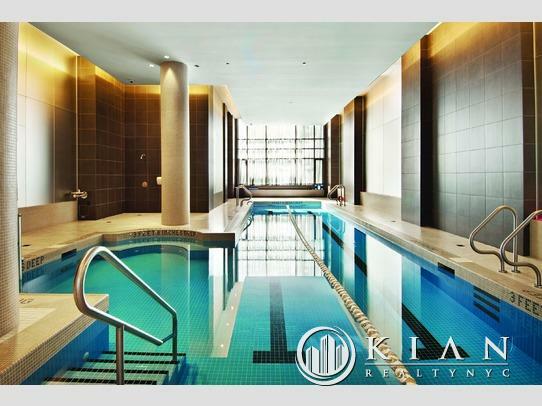 There is an entire floor dedicated to relaxation and exercise featuring a 50 foot lap pool, massage room, yoga room, aerobic room with state of the art machinery, media screening room, business center, free Wi-Fi, lounge w/ fireplace, catering kitchen, outdoor space, and a children's play room. 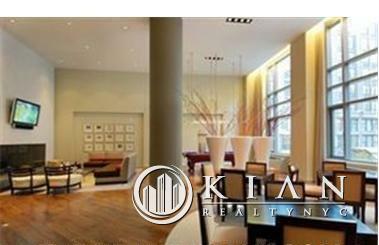 The building also offers a garage, valet services, concierge, and doormen. 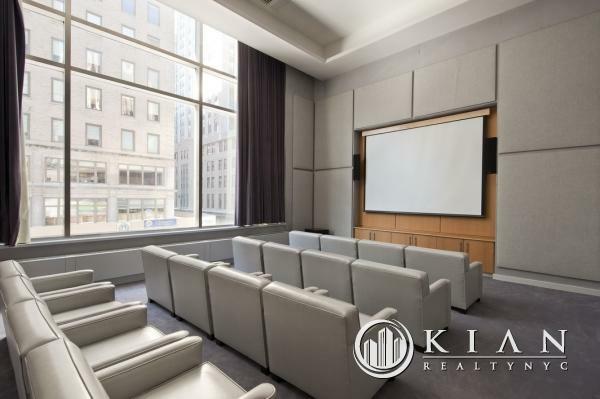 Amazing location steps to Herald Square, shopping, dining, entertainment, and all transportation.